Justin has been cooking for years and hosted a cooking podcast called Kinds of Cooking. I love baking bread and cooking just about anything. Buffalo Chicken Meatballs are one of my new favorite things. When I first started making them I served as appetizers at a party. They went along some celery, carrots a little blue cheese dressing if people wanted and I was content. But this last week I made another batch and went heaving on the spicy buffalo seasoning. As I ate a finished meatball I was thinking to myself, "This needs to be in a sub or a sandwich. Why should only Italian Meatballs get that privilege?" I got stuck when considering what would replace the marinara sauce. With this in mind I contact my friend Curtis. The two of use used to host a cooking podcast called Kinds of Cooking, and I knew that if anyone could help me thing of a great sauce to add to this type of project it would be him. Curtis did not disappoint! He suggested a Jalapeño cheese sauce and I went to work! 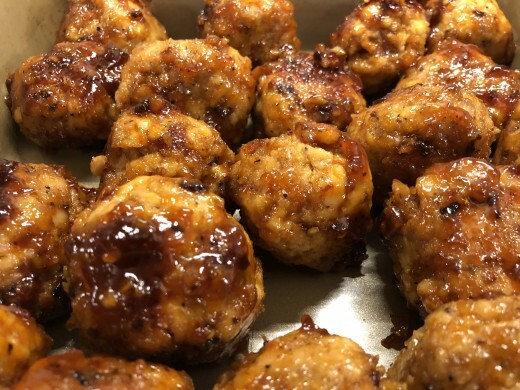 For those interested I have posted a link to my article where I show how to make the meatballs. Also, this article might be a bit link heavy, but that is because I need to give credit to the cooks how taught me how make the different sauces and toppings I used. Do you like Buffalo Chicken Wings? Maybe the bone is a bit to much of a hassle and you prefer Chicken Tenders? Forget both of those options, we're going to make Buffalo Chicken Meatballs! 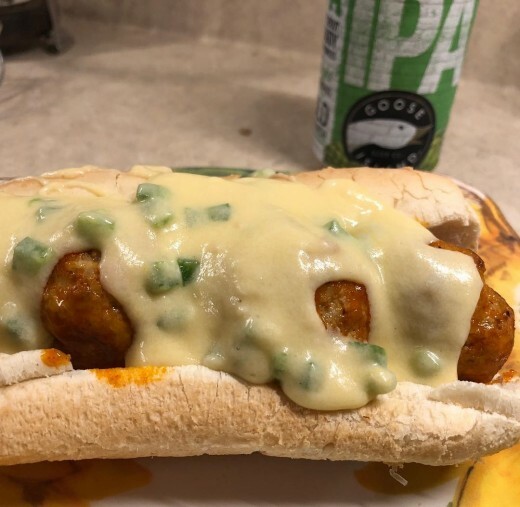 Meatball Sub with Jalepeno Cheese Sauce. The first experiment came in the form of Jalapeño Cheese Sauce. Curtis nailed this suggestion and my wife ended up with an awesome meatball sub. My one complaint is that the cheese was a bit bland. I would use a sharp cheddar next time to make up for that, otherwise it was the perfect compliment. 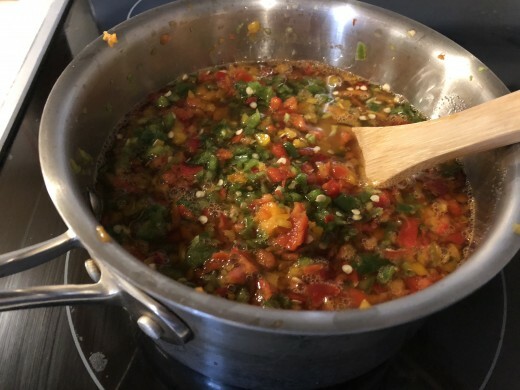 I have included a link below to show how to make the sauce. Thank you to justapinch.com for providing this great recipe! Now that I was onto making new types of meatball sandwiches, I needed to keep going. I also made WAY too many meatballs so I had plenty of material to experiment with. 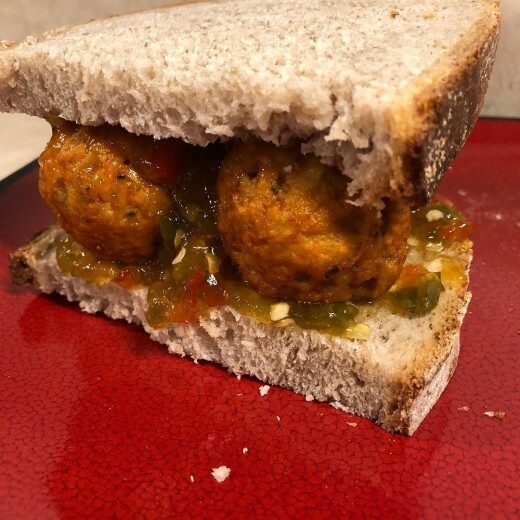 My next sandwich came in the form of meatballs on top of homemade sourdough rye bread slathered in homemade hot pepper jelly. If you ever had a chance to hear my podcast, you will know that Curtis and I had an obsession with candied Jalapeños. Well, my obsession may have just changed. This still makes a hot and sweet combination with Jalapeños but includes some sweet peppers and makes it a jelly. It was so good! The jelly process was easy. I didn't can any of it so all of the jelly is in my fridge now, but that is OK, I don't think it will last long. 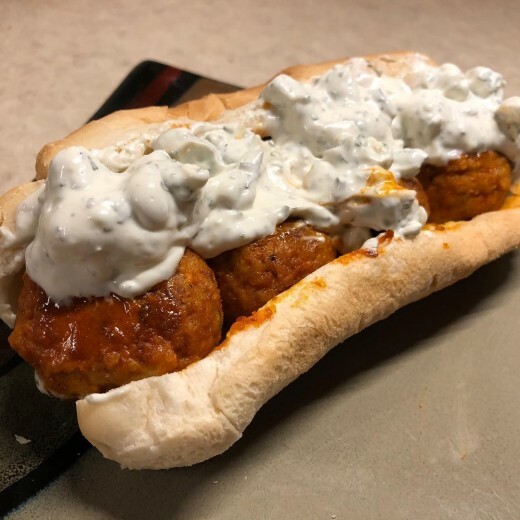 I have used it not only on this meatball sandwich, but on a pimento cheese sandwich, with cream cheese and crackers, or just using it as a chip dip! See the link below on how to make this and them so pictures of the process! 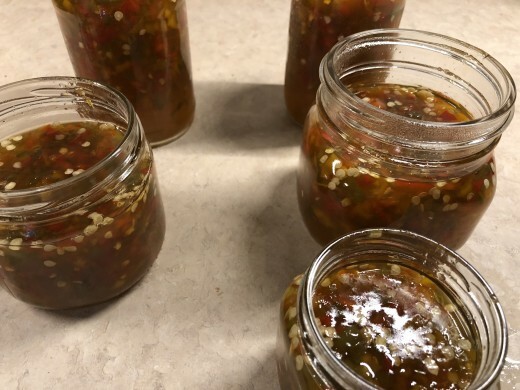 Super Easy Hot Pepper Jelly ~ this easy recipe makes use of both sweet and hot peppers for a colorful, confetti-like look and and an intense spicy kick. 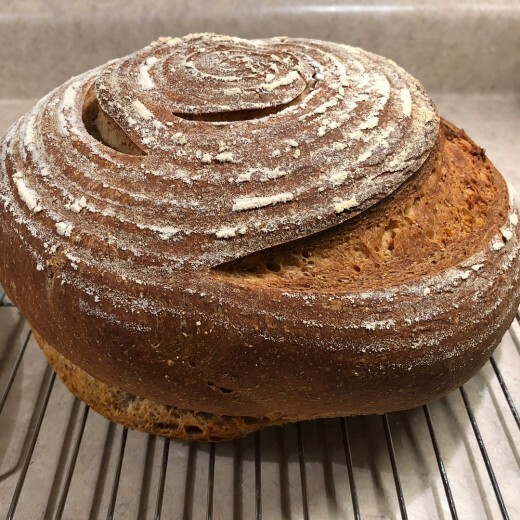 The sourdough rye bread I baked to go with this experiment. Let it cool and then you're in business! I really can't stress how good this hot pepper jelly is. For me it is the perfect combination of hot and sweet. I not only could, I have, just eaten a spoonful of it. 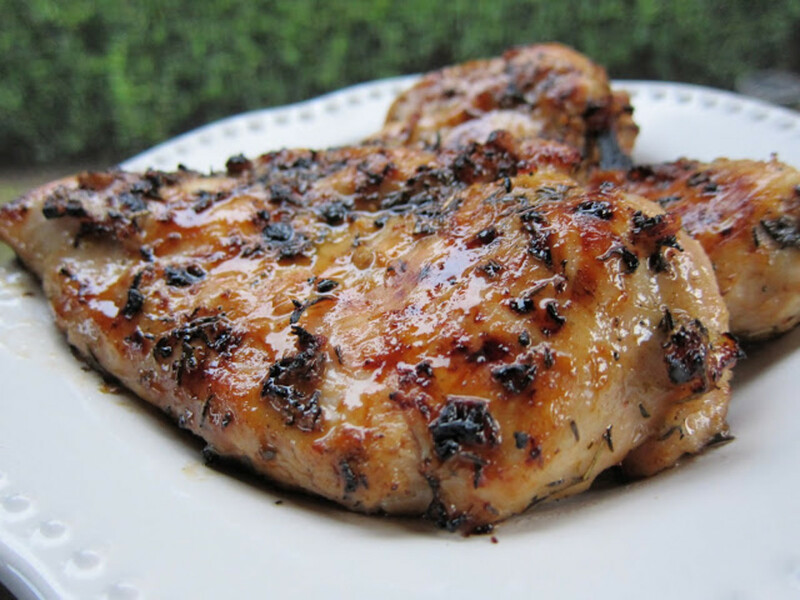 I have a high tolerance for hot food, so that may not be for everyone, but I encourage everyone to check out the recipe for this and give it a try. Also, if you want to make large quantities of this instead of storing int he fridge you could easily process in a water bath using mason jars instead of the hodgepodge of jars that I used. With the amount the recipe made it didn't take up much room in my fridge so I didn't bother. This last experiment was done because my sister-in-law requested that I make a meatball sub with blue cheese dressing. I didn't just want to dump some store bought blue cheese on my meatball though so I found what appear to be (and was) a really delicious blue cheese dressing recipe - link will be below. I like strong blue cheese so I went to the store and got a good one and mixed it up. This was really good, but as good as it was, I really felt like the showcase of this sub was the dressing, not the meatballs. Again, I am not say this was bad, it was not, but you could have add just about any type of cooked meat on this and covered it in the dressing and got a similar result, it would be good, but really you are eating it because you love blue cheese dressing. Blue cheese crumbles kindly lend their distinctive flavor to this simple, smooth mixture. Serve with corn chips. This dip tastes better the longer it chills before serving. It's hard to rank things you love. But there really wasn't much of a contest. The hot better jelly is just amazing. 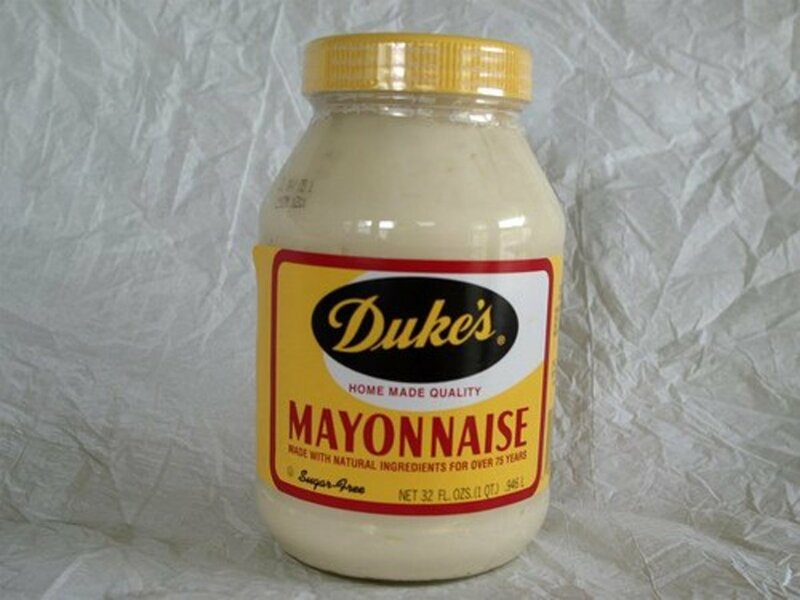 I have already gone through a jar of it and am not looking back. I won't commit to it being better than the candied jalapeños that I love, but it is darned close. The Jalapeño cheese sauce coming in second was also a no-brainer. The spicy cheese was a great compliment to the meatballs. As mentioned above a more flavorful cheese would put this experiment closer to #1, but I still don't it would be able to top the list. As for the blue cheese dressing, it was great! I have used the blue cheese dressing now on multiple dishes, but for the meatball sandwich, it was just overpowering. The interesting thing is that I probably received the most positive response about this one from social media than from the other two, but if you are willing to take my word it was certainly not the winner. The fact is, if you make any of these you will be winning. They are all great and who knows, maybe you just love blue cheese and that is what you want out of the sub! I am not here to judge, just to give ideas for making some great food! Tell me which sandwich you think would be best in the poll below, if you decide to make any of these, please let me know in the comments. Or if you have an idea tell me that as well. I will absolutely give it a try the next time I make these meatballs and report back!